India has leapfrogged the rest of the world to implement one of the world’s most advanced transport technologies: hyperloop. 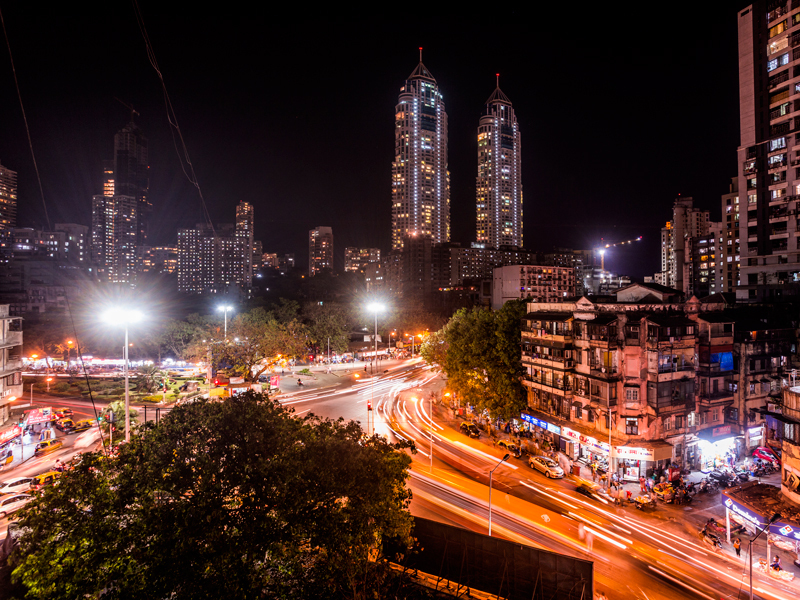 Earlier this year, Virgin founder Richard Branson signed a framework agreement with the state of Maharashtra to build a hyperloop track connecting the cities of Pune and Mumbai, with the intention of drastically decreasing travel time and traffic congestion. The proposed route will link the two cities via the upcoming Navi Mumbai International Airport and, critically, Virgin claims the project could cut the current commute time from approximately three hours by train (2.5 hours by road) to just 25 minutes. “I believe Virgin Hyperloop One could have the same impact upon India in the 21st century as trains did in the 20th century,” Branson said in a company statement. The move is significant, but India’s transport infrastructure still needs a lot of work in order to support a growing economy and population. The hyperloop – originally the brainchild of serial entrepreneur Elon Musk – allows for ultra-fast travel by shooting transport capsules through low-pressure tubes on magnetically levitated tracks. If successful, the completed Virgin Hyperloop One would represent a major victory for an emergent technology that has never been tested at scale. In its statement, Virgin said future projects could see the route expand to include the upcoming New Pune International Airport, as well as linking industrial zones in Pune with Jawaharlal Nehru Port in Mumbai. Construction of the Pune to Mumbai route will be carried out in several phases, with the initial six months devoted to a feasibility study determining the environmental impact, cost and regulatory framework of the project. Upon completion of the study, an operational demonstration track will be constructed within three years, with completion expected to take another five to seven years. The proposal envisions 150 million passenger trips per year, saving customers an estimated 90 million hours of travel. According to Virgin Hyperloop One’s pre-feasibility study, the hyperloop project will also reap $55bn in economic benefits over 30 years, and could reduce greenhouse gas emissions by 150,000 tons annually as a result of the electric powered track and reduced traffic congestion. India’s transport system is forecast to grow faster than any other infrastructure component in the economy, averaging a predicted annual expansion of 5.9 percent until 2021. This is a result of stronger government investment in transport projects and increased foreign direct investment. Recent policy changes have included assigning regional governments regulatory approval of urban transit projects and encouraging public-private partnerships in a bid to increase capital flow. Despite large investments into the infrastructure sector, India faces a number of uphill challenges. The country’s rising population and growing economy have pushed up the demand for energy, creating a need for energy-efficient transport systems. Meanwhile, capacity constraints have created bottlenecks in important rail corridors. A successful proof of concept of hyperloop at scale would take pressure off strained rail networks and help improve the overall efficiency of the transport system. The ease of commuting long distances at high speeds could boost job creation by tens of thousands across all sectors in the economy, particularly those concentrated in urban and industrial areas. The hyperloop system also has great potential to expand access to education for rural inhabitants, improving the country’s long-term economic prospects. Furthermore, as super high-speed transport networks catch on, they have the potential to make travel between metropolitan and rural areas almost effortless, providing a significant boost to the number of available labourers and consumers in the economy. The population of India is set to overtake that of China by 2024, with growth expected to continue until 2061, when it is projected to peak at 1.6 billion. It is imperative the country modernises its transport systems as it works to support an unprecedented population density, which is forecast to reach 564 people per sq km by its peak. There is a significant amount of work that needs to be done before India can efficiently handle its own growth, but the hyperloop project signals the country’s strong continuing commitment to that end.